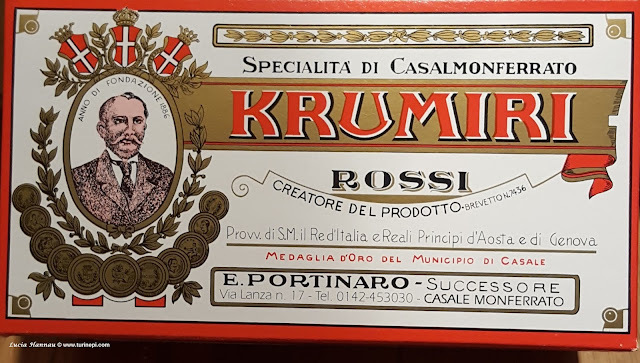 Nobody really knows about the meaning of their name or even about how they got really invented, but we do know they were born randomly in 1878 in the Domenico Rossi's pastry shop, in Casale Monferrato. 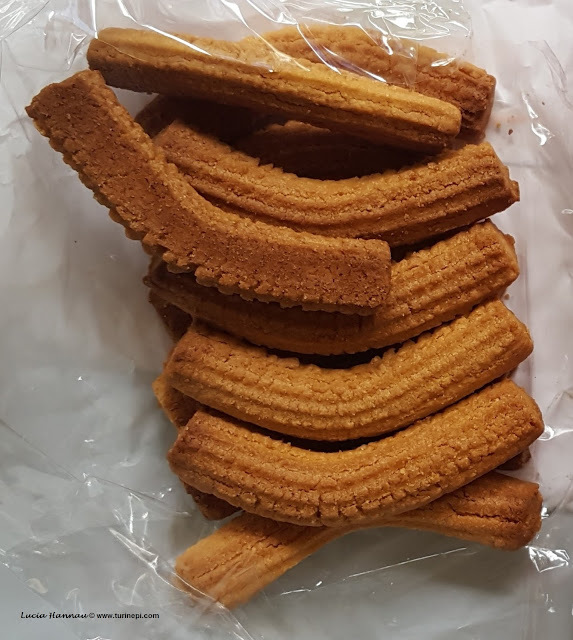 They have ridges and a bent shape in honor of King Vittorio Emanuele II's moustache - the king that unified Italy in 1861. 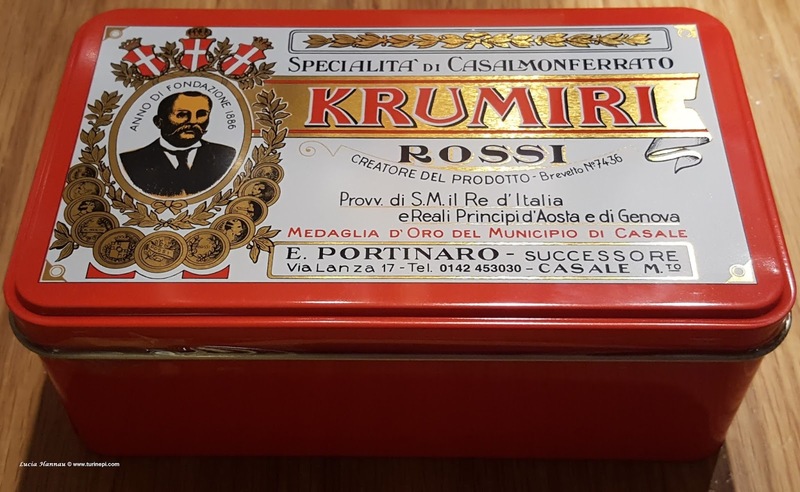 Since the beginning Krumiri have been very popular: in 1884, they won the bronze medal at the Universal Exhibition in Turin and also many royal seals of approvals, up to the King Umberto I, in 1891, when basically the whole Casale Monferrato scented like krumiri baking in the oven. The peculiarity of Krumiri is that they are made without water, only with: wheat flour, sugar, eggs, butter, eggs and vanilla. Always a family business, Krumiri Rossi are one of the famous Piedmont specialties that made it over the Atlantic, even to the White House and have conquered Nobel Prizes and Hollywood starts always with their original simplicity. Naturally the krumiri recipe is legally certified as Traditional Product. Turn the oven at 200C (400F), melt the butter and prepare the yolks. Sift the flour, the salt and the powdered sugar; whisk in the vanilla pulp. Mix the egg yolks together with the butter and add it to the dry mix. Gently knead it by hand till it is smooth and firm. Cover it with plastic wrap and let it rest for 30 min (room temperature). After 30min., put the cookie dough into a canvas pastry bag or plastic cookie press with a large starred point - like 32 by Wilton. on a parchment paper covered cookie sheet, slowly lay the dough and curve it with your hands. They need to be about 7-8cm (2.7-3 in) long. Bake for about 16 min till golden. Cool them down on a cookie rack before serving. You can store them in a tin box for up to 6 days. Naturally you can personalize your own Krumiri as you like by adding chocolate chips, chopped hazelnuts or any nuts, seeds, even dry fruits and you can also add in different flours (corn meal, rice flour).